ROKPA INTERNATIONAL is established in Zurich on March 27, 1980 by the Tibetan doctor and lama, Dr. Akong Tulku Rinpoche, Lea Wyler and her father, Dr. Veit Wyler. They begin by assisting Tibetan refugees in India and Nepal. Dr. Akong Tulku Rinpoche returns to Tibetan areas of China for the first time following his dramatic escape in 1959 and is deeply moved by the terrible poverty in his home country. The planning of the ROKPA aid projects in East Tibet begins. ROKPA branches are established in UK, Germany, Belgium and Holland. The first Tibetan projects commence after years of negotiations and numerous visits. The ROKPA Soup Kitchen in Kathmandu, Nepal is inaugurated. It opens every year during the cold winter months and is run with the help of volunteers from all over the world. ROKPA takes the first seven Nepali street children under their wing – and supports them by funding their stay in boarding schools. Lea Wyler travels to Calcutta to visit Mother Teresa, who inspires and deeply impresses her. ROKPA branches are established in Austria, France, India, and Spain. ROKPA establishes a clothing depot in Kathmandu for the winter months which continues to provide the homeless and poor with warm clothing. For the first time free medical treatment is provided for the needy in the medical outpatient clinic (part of the ROKPA soup kitchen in Kathmandu) and from now on doctors and nurses from different countries treat those in need during winter. ROKPA branches in Canada, Italy, South Africa and the US are established. The first of the orphanages built and supported by ROKPA is inaugurated in Yushu, southern Qinghai (a Tibetan area). A clinic as well as the Education Centre for Tibetan Medicine are later added to the orphanage. Thousands of orphans and half-orphans receive training and ROKPA becomes their surrogate family. 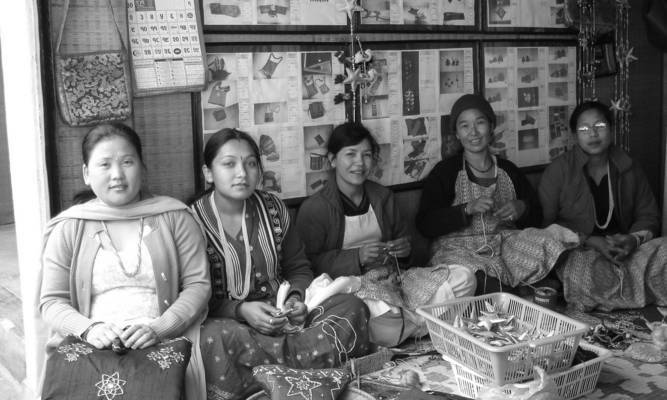 The ROKPA Women’s Workshop in Kathmandu is established and the first four women who had previously earned their living by begging are trained in sewing. Lea Wyler is awarded a medal by the Order of St. John in Zurich. ROKPA branches in Nepal and Poland are established. ROKPA rents a house in Boudha, Kathmandu and inaugurates the ROKPA Children’s Home. It is home to 35 children who are educated at local schools. The women at the Women’s Workshop turn professional, receive support and their children continue to be educated by ROKPA. Their products are sold, with the proceeds returning to the workshop. The project journey to the Tibetan areas of China takes place for the first time in its present form. Every year, Lea Wyler and her team, till 2012 headed by Dr Akong Tulku Rinpoche, travel through the country for several months to visit and evaluate ongoing ROKPA projects. In Zurich, Lea Wyler is honoured with the Jonas Furrer Prize. Dr. Akong Tulku Rinpoche is honoured with the Yunnan Prize. This is followed by numerous prizes for Akong Rinpoche and ROKPA in recognition of their charitable and innovative work. The new ROKPA Children’s Home in Kathmandu, Nepal is inaugurated in time for ROKPA’s 25th Anniversary. It accommodates up to 60 former street kids. Traumatized street children find a home here and experience security for the first time in their lives. BBC selects ROKPA from amongst thousands of relief organisations and produces a Lifeline film in Nepal on ROKPA activities. Ten former street children from Nepal tour Europe with a moving dance performance that narrates the story of their life on the streets. It is a huge success. A Swiss television crew accompanies the children for an entire day, and also films the premier in Zurich. The documentary is aired several times on German and Swiss television. Start of the project 'Preservation of Tibetan Medicine' in Nangchen in the Tibetan Highlands. The aim is to preserve and replant the tradition of Tibetan healing art as well as the partly dying plants used for this purpose. ROKPA Switzerland organises a Charity-Gala which is attended by numerous personalities from the fields of business, politics, culture and show business. The attendees donate a record sum of CHF 180,000 on this evening in aid of ROKPA projects. Swiss media carry reports on the event. ROKPA inaugurates its new Guest House with 14 apartments in Boudha, Kathmandu. This project is intended to provide long term financing for the ROKPA Children’s Home. Ten of the most talented ROKPA children, all former street children from Kathmandu, are invited to the well known BRAVE festival in Wroclaw, Poland in June/July. They rehearse a performance together with orphans from African countries. THE ROKPA KIDS (as the group will be known from now on) present their own lives through the medium of dance and music. March: ROKPA has turned 30! The small aid organisation that was set up in Zürich, Switzerland, in 1980 has evolved into an organisation represented in 18 countries, ensuring that assistance reaches people who don’t receive help from other relief organisations. 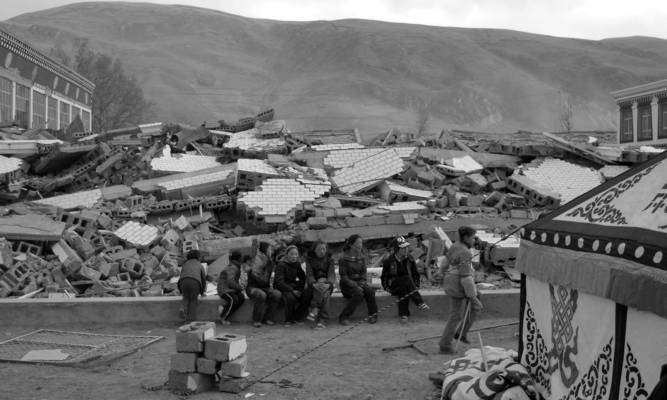 April: In the devastating earthquake in Yushu (Tibetan Highland), ROKPA provides emergency aid. Thanks to generous donations from all over the world and from the SDC, ROKPA can supply well over 100 tents for the homeless Tibetans. The heated tents have allowed the earthquake victims to survive the ice cold winter. Spring: Praise from the UN. With the touring exhibition “60 Years 6 Lives”, the UN High Commissioner for Refugees (UNHCR) paid tributeto the extraordinary contribution that six former refugees in the UK (their new home) have made to society. One of the refugees portrayed was Dr. Akong Tulku Rinpoche, president and co-founder of ROKPA, who fled from Tibet to England in 1959. Under the leadership of Andreas Vollenweider and Lea Wyler, the ROKPA Kids told their own life stories through theatre, dance and music. Because of the authenticity generated by their performances, an incredible bond was formed which was very moving. Andreas Vollenweider accompanied the performances musically. Dr. Akong Tulku Rinpoche passed away in tragic circumstances in China on October 8th, at the age of 73. More than 8'500 people died in Nepal after the earthquake of April 25th 2015 with the epicentre in the north-west of Kathmandu. A massive number of people lost everything - especially the poor inhabitants of the mountainious areas near Kathmandu. The reconstruction of the destroyed buildings will take many years. ROKPAs focus is on the reconstruction of schools in remote areas. On September 18th almost 500 ROKPA friends celebrate 35 year anniversary of ROKPA in Zurich together with founder Lea Wyler and with children from the Children’s Home in Kathmandu. Opening of the Akong Rinpoche Memorial Center in Kathmandu. Starting in 2018, several dozen young people and women will receive training in the sectors of hospitality and textile crafts at the new Vocational Training Center.